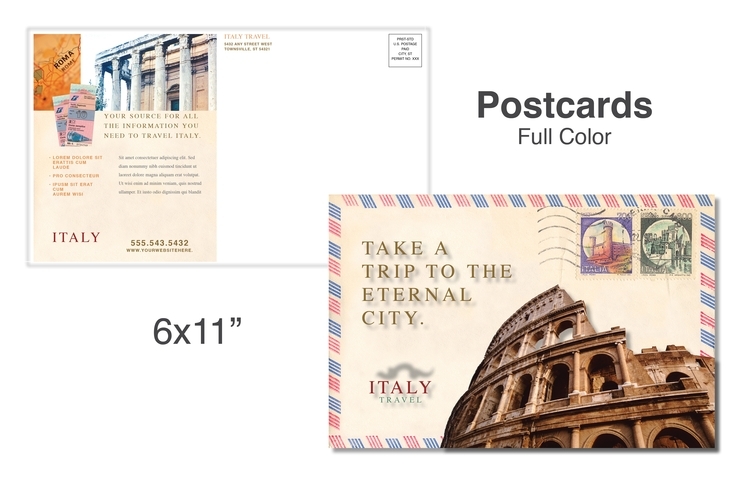 6"X11" Postcards set the industry standard for exceptional quality. Coating option includes Aqueous High Gloss coated on both sides..
Pricing includes Full (Four Color Process) both sides, 14 point, C2S, 4/4. Please supply 300dpi or higher to assure quality printing. Please supply high res JPEG, TIF or PDF files. Please allow for an 1/8" bleed on all sides.